Karina's Kreations: Sneak Peak Sweet Cake Card!!! Sneak Peak Sweet Cake Card!!! I have a sneak peak card to share with you today. The stamp set is called Sweet Cake and it will be in the upcoming mini catalog. 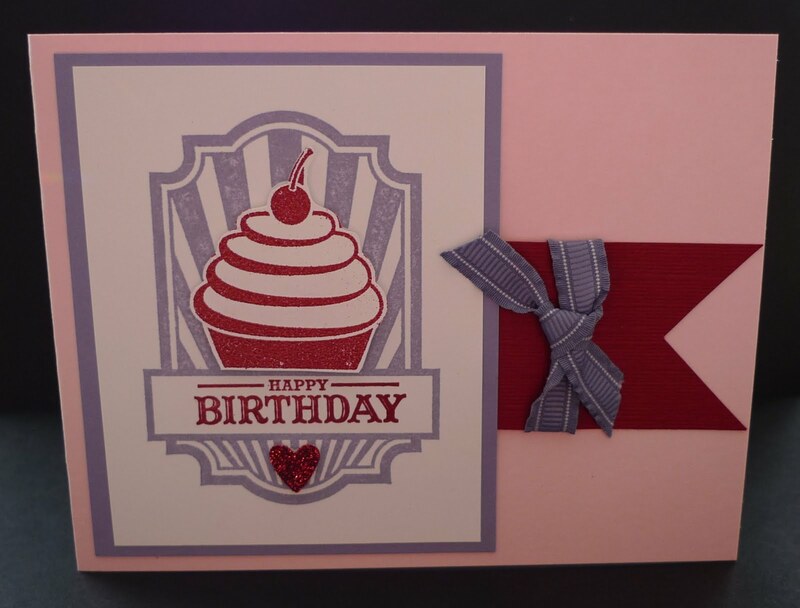 I stamped the cake image in Wisteria Wonder ink on Whisper White card stock and layered it on Wisteria Wonder card stock. 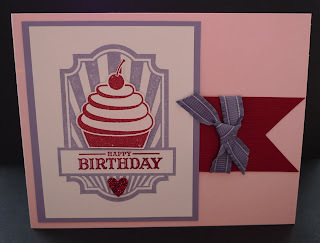 I inked up the cup cake image with Versa Mark ink and embossed it with Cherry Cobbler Embossing Powder. I cut the image out and popped it up with a Stampin' Dimensional. Happy Birthday was stamped with Cherry Cobbler ink. The heart was punched out with Heart to Heart Punch and Red Glimmer Paper. I had to add some Wisteria Wonder 3/8" Ruffled Ribbon since it's my favorite!!! The card base is Pink Pirouette.